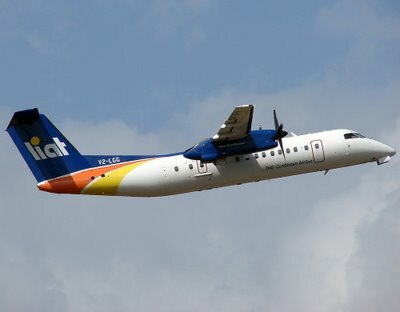 Prime Minister Dr. Keith Mitchell said he has made recommendations to the just ended OECS Heads of Government Meeting on ways of improving the regional airline LIAT. Dr. Mitchell told the leaders, Grenada is willing to be a partner in the development and success of LIAT, but the airline must show itself to be serious and cost effective. “We’re prepared to make sacrifices but we will not be able to support a business if it cannot demonstrate that it can get its act together and provide what we believe is necessary; much cheaper transport and much more efficient transport to the OECS and the Caribbean region as a whole”, Prime Minister Mitchell said. He responded to claims that governments are charging a number of taxes and causing LIAT fares to be higher than they should be. Prime Minister Mitchell said, he accepts this as a fact, and therefore suggested that governments need to come to terms with this reality. “We cannot tax ourselves out of a serious issue of affordable transport,” the Prime Minister said. “We can drop the cost… and reduce taxes, what we’re going to find out is that LIAT may be a much more successful enterprise, more people will travel the governments are going to get much more revenue by multiplying the amount of people that will be travelling”.